Smart technology is relatively new on the market, but it’s proving to be a solid frontrunner for the future of homeownership. Whether you want to remotely lock your home or adjust the room temperature from the palm of your hand—or with your voice in some cases—the technology is available. 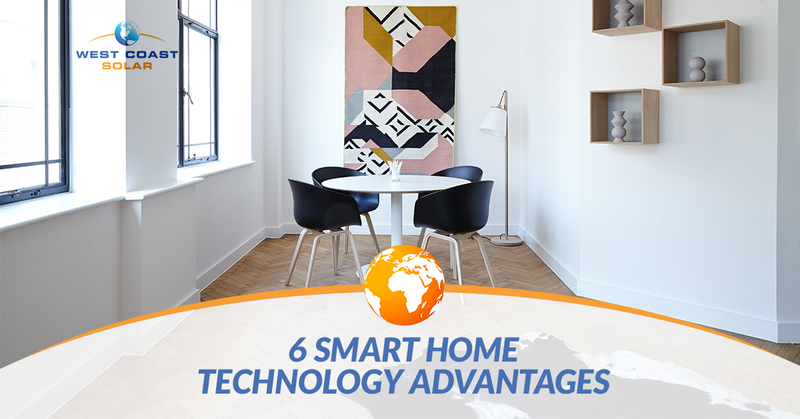 Want to learn about six advantages of a smart home system? Read on to find out! You have all the important people in your life at your fingertips. Why can’t you have the same accessibility and control over your home? You can with smart home technology. Forget to turn the lights off? Oven still on in the kitchen and you’re in bed? Want to check and see if the kids made it home from school on time? From an app on your phone, you can adjust lighting, shut off the oven, and check a live video feed of your home for the kids. Smart Home offers control at your fingertips. When’s the last time you mowed the lawn? Do you still push a vacuum around the house? These two tasks among others are common homeownership responsibilities. What if you could tell a smart device to them for you? Fortunately enough, you can. Accessibility is all about saving time on tasks that take up too much of it, and giving those who are disabled or even hindered from taking care of common task around the house a chance to raise their quality of living simply by talking. What if you could change the temperature of the home with a simple voice command, or call someone via a smart home phone when you can’t reach a phone during an emergency? Smart home technology increases quality of life and gives those who care peace of mind. Did you forget to lock the front door when you left for work this morning? You no longer have to go home during lunch to find out. If you have a smart home, you can pull up your home app on your phone and see if the Smart Lock engaged after you left earlier that morning. If you’re still not sure, you can unlock and lock any door you’ve installed a Smart Lock on. In addition to locks, smart security systems are a collection of cameras, sensors, and monitors to ensure the safety of your home and more importantly your family. A simple device like a doorbell camera allows those inside the house to see who’s at the door without having to answer it or look out the window. Alongside safety is the overall security of your home. It’s imperative your family is secure while feeling safe in their own home. How does smart home technology help with this? Camera, monitors, and sensors keep track of what’s going on inside and outside of your home. When something abnormal or suspicious occurs it alerts anyone connected to the home’s smart app in real time. So if there’s an abundance of smoke or carbon-monoxide, you get a live alert directly on your phone anywhere in the world. With some systems, if the alert or notification is serious enough, it will automatically alert either a third party to contact local authorities or the local authorities directly. Energy conservation and use should be a high priority. A smart home can monitor and track energy use throughout the smart devices in the house and present it real time. What does this do? It allows the homeowner to see when and how the energy they’re paying for is being used. It’s extremely beneficial to cut energy cost if you can see the information for yourself. Not only can the homeowner manually work to cut energy use cost, but smart appliances and devices were created to use the least amount of energy possible to still function properly. The best home automation systems help keep your energy use efficient. How is smart home technology cost-effective? It’s an investment to upgrade your home to be smart. Nonetheless, numerous sources have shown that the investment pays off over time. A US Environmental Protection Agency study reported anywhere between 10% and 30% saved on energy bills by simply monitoring home climate with a smart thermostat over one year. Given more time, savings like that add up over the years. Saving money with a smart home is simple. You can time and program the various devices in your home once and they take care of the rest. Adjusting and updating scheduling and settings is easy through a smart home app on your phone. Invest in smart home technology for your home’s future. Where is technology going? At West Coast Solar, we believe it’s towards renewable, green energy consumption and smart home technology. As the world transitions, we plan on being the highest quality provider of solar panels to power the world. We also understand that smart home technology is relatively new. It may take a large investment now to reap the benefits later, but we believe it’s completely worth it—especially when it means saving money and the planet at the same time! Give West Coast Solar a call today to get your green energy home installation designed and scheduled!